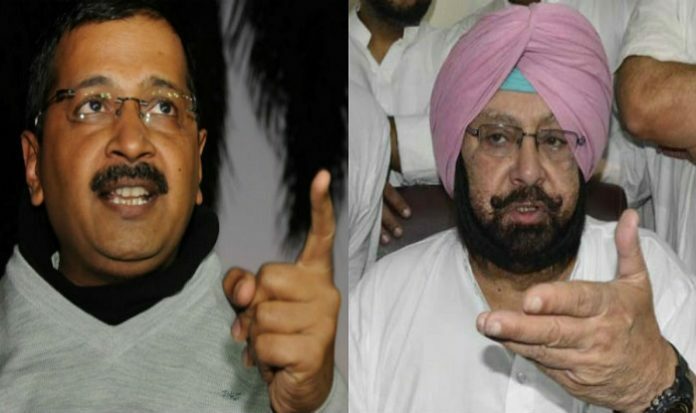 Punjab Chief Minister Capt Amarinder Singh on Sunday lashed out at Delhi counterpart Arvind Kejriwal for blaming high levels of pollution in the national capital on stubble burning in Punjab, saying the AAP leader should stop indulging in theatrics and check out facts before making reckless statements. 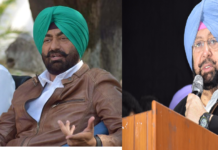 In a statement, Captain trashed Kejriwal’s claim as yet another attempt to divert public attention for his own government’s abysmal failure. “Having failed to deliver on governance to the people of Delhi, Kejriwal was, as usual, trying to take refuge in falsehood and fabrication,” he said. 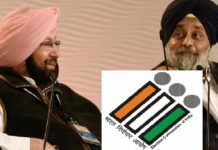 Rubbishing Kejriwal’s proof — satellite pictures of Punjab — of stubble burning, Captain said “even a school kid would know better”. “Can he (Kejriwal) really be an IIT graduate?” he said, questioning Kejriwal’s reasoning. “He called the picture scientific proof of his logic. Had he bothered to check the data, he would have thought a hundred times before coming out with such a reckless statement,” observed Captain. 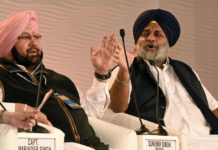 The Punjab CM sought to counter Kejriwal’s “irrational” claim by putting out data and warned that people of Punjab would not take kindly to the “AAP leader’s attempts to pin the blame for his failures” on their state. He pointed out that the air quality index of Delhi remained more than 300+ even during December and January every year, when there was no stubble burning in the neighboring states. “This indicates that Delhi’s environment is impacted by own sources, predominantly vehicular emission, construction activities, industrial activities, power plants, burning of solid waste and sweeping activities,” he added.